Zumba and Jazzercise have quite a lot in common. They are both workout programs which are based on moving along with the music, and thus have more fun and sort of disguise the actual exercise into a more fun experience. Both programs are open to new participants and beginners. They usually both are 1-hour classes with similar pricing. They are both excellent ways to meet new people, create friendships and encourage socializing among member of the community. Both Jazzercise and Zumba are dance-based exercising classes and programs, which are a fun and healthy way to get fit and stay fit and healthy. They are both workouts based on specific types of music, and they both require that you know the basic dance and aerobic steps and movements. Jazzercise is based on jazz dancing and Zumba on Latin American music and dances. They both don’t need any fancy equipment, only comfortable training shoes. They both are offered at various levels, there are classes for beginners and advanced classes with more complex movements in them. Jazzercise includes movements from Pilates, Yoga, hip-hop, jazz dance, kickboxing as well as resistance training. Jazzercise is possibly the oldest dance-based aerobic and dance fitness workout believed to have been established in 1969 by dancer Judy Sheppard Missett. Zumba was first introduced to the world 30 years later in 1999 by Beto Perez. 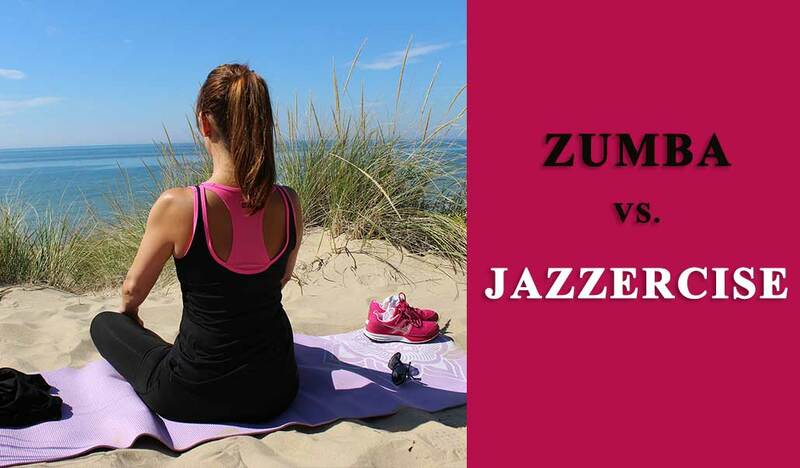 Zumba is more popular as a weight loss workout, while Jazzercise is a more artistic program. Jazzercise has some basic steps and movements, which once you learn, you can master any of the various Jazzercise routines. On the other hand, Zumba doesn’t have such set rules, and is much more informal. It is more fun-oriented, and its motto is “ditch the workout – join the party!” Thus the routines and movements can differ depending on the preferences of the various instructors. Each of the Zumba classes has some basic Salsa and Merengue steps, but overall the routines of the different Zumba instructors are very individual. Jazzercise is an international franchise including a network of more than 7,800 jazzercise instructors in 32 countries. It has a serious instructor certification program, which makes the classes in the various countries similar, which means that people who practice this form of exercise can practice it just about anywhere around the globe. Zumba is less structured and instructors are free to use any music they prefer (although most used the recommended zumba dvd sets), so the Zumba classes around the world can be very different one from another. The fact is though that today more than 14 million people in 185 countries practice Zumba regularly. It has become a preferred exercise program, especially for those who want to lose weight. Equipment required for these classes is minimal – just a pair of suitable zumba dance shoes, comfortable top and bottoms and you are set. So, whichever you choose, both are great workouts mixed with fun and friendships. If you love dancing and hate going to the gym, these classes are the perfect choice for you. You will stay active, get fitter, make new friends and communicate with more people at the same time, if you choose to join your local Zumba or jazzercise classes.